Site layout and indicative landscape design for the new build proposal featured earlier this week. Please see the links below for full size drawings. Initial sketches of a Cart Lodge to accompany the new build featured in yesterdays post. A swift digital water colour for an on going project in rural Essex. The image depicts an increased unit density for a previously approved housing development, while maintaining the aesthetic agreed by the local planning authority. 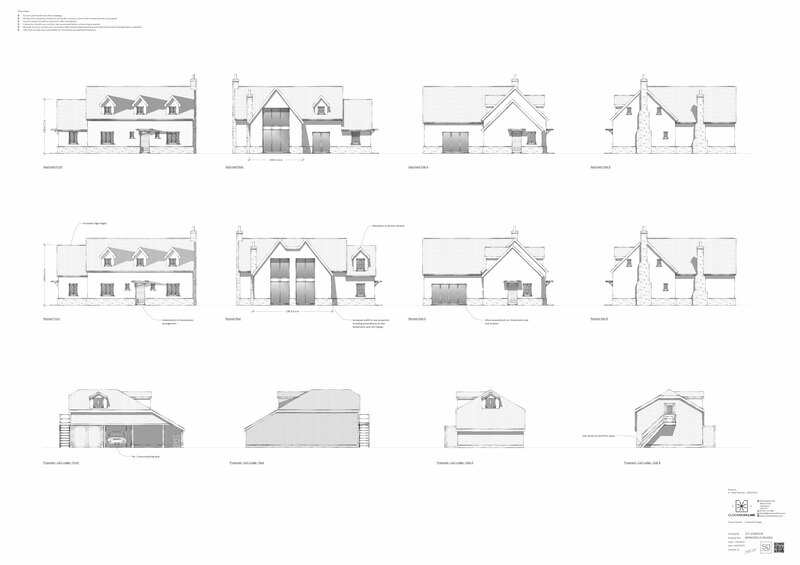 A set of sketches detailing a revised proposal for a previously approved new build scheme in rural Suffolk. Now to include an increase footprint, additional first floor living space and cart lodge. First foundation and oversite of 2019. Many more to come…..